Search media is on the rise. SMO stands for Social Media Optimization or Social Marketing optimization. From whatever angle, you look at it, one thing that stands out is the word Marketing. Today everything works around marketing. So when you speak of marketing, it is connected with internet and search engines. Search Engines are successful up on the use of right keywords. Right Keywords does all the tricks in the social media. Most startups or online business depend on the internet. Today lots of people prefer buying online searching with the help of keywords. Keywords or search engines direct you to the website, which can help you boost your business in return. Most online businesses run on word of mouth and good reviews. It all depends on how you optimize your social media marketing skills to the fullest and make your business reach its target audience. SMO is optimized by RSS Feeds like video, bloggings, photo sharing, and anything that is media related. The purpose of optimizing SMO is to divert the traffic to search engines which are linked to popular social media like twitter, Facebook, Instagram, Pinterest or snapchat. SMO is a very powerful tool in terms of visibility and marketing. However there are certain principles on which SMO is based. 1. Visibility: SMO is the need of the hour. Today search engines are all about visibility and which search engines have the maximum hits. 2. Creative: Bring your creativity to use because creativity begets uniqueness. When your brand stands out from the rest, people are sure to notice. 3. Engaging: The content has to be engaging and of high quality to keep your customers coming back to you. A good website has to have all the right ingredients in terms of content, a good feedback and excellent customer service. If you want to get to the pulse of your customer, then engage them in quality service. 4. Influencers: Hiring right influencers will give you the right buzz for your brand or product. Influencers play a significant role in optimizing SMO and give your brand awareness among all social mediums. 5. Using Permalinks: In case of blogging, permalinks can help you catch the right keyword which will lead the search engine to your site. Every once is aware that SMO is linked to marketing. In pre-internet and social media era, businesses had to shed some amount of money for marketing through advertising, or pamphlets. TV or Radio was used as the means of marketing. Today with rise of social media, there is no dearth of ways to market your brand. SMO markets your brand without having to spend as much money through the social media, blogging and video. Internet is like a maize field, it is easy to get lost, if not used the right links or channel to promote your brand. For the right use of SMO, you will have to participate in the discussion, like online forums or through your blogs, as to what your customer desires or wants in his product. That will help you to gauge their mind. Improve your search rankings, by engaging with your potential customers, fans and followers.Timely updates from your end will keep your fans and customers glued for new information.Never undermine the importance of social media. It is a weapon for success if you use it correctly. Social media keeps on bringing new changes to their format. Adapt. And be updated with all the latest news and versions pertaining to it. After all, surviving and making your presence felt is important in this big jungle! 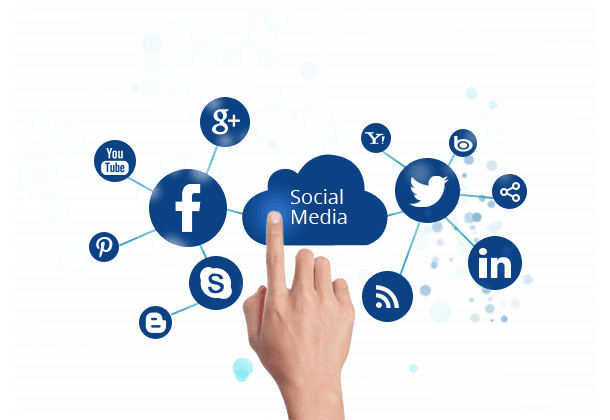 Social media optimization (SMO) is the use of a number of social media outlets and communities to generate publicity to increase the awareness of a product, brand or event. We provide SMO Services at very competitive rates. To Know about our various SMO packages, please click here.